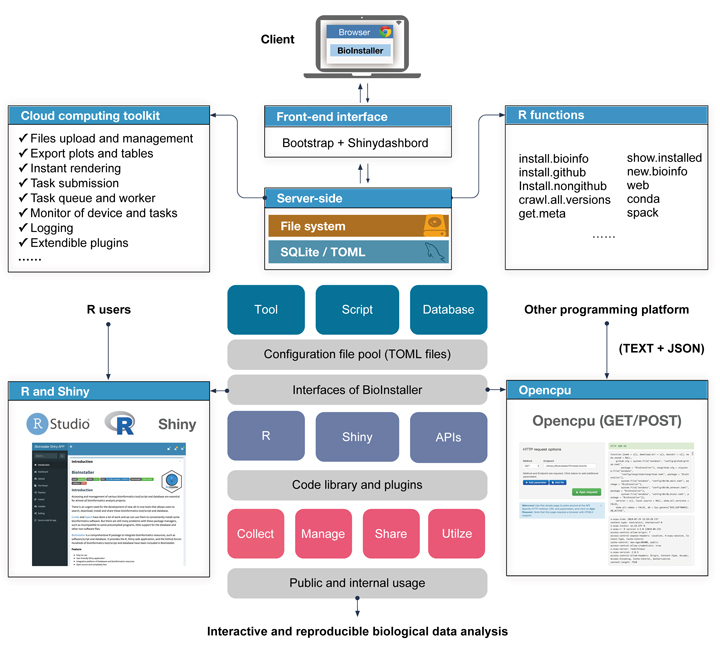 The increase in bioinformatics resources such as tools/scripts and databases poses a great challenge for users seeking to construct interactive and reproducible biological data analysis applications. R language, as the most popular programming language for statistics, biological data analysis, and big data, has enabled diverse and free R packages (>14000) for different types of applications. 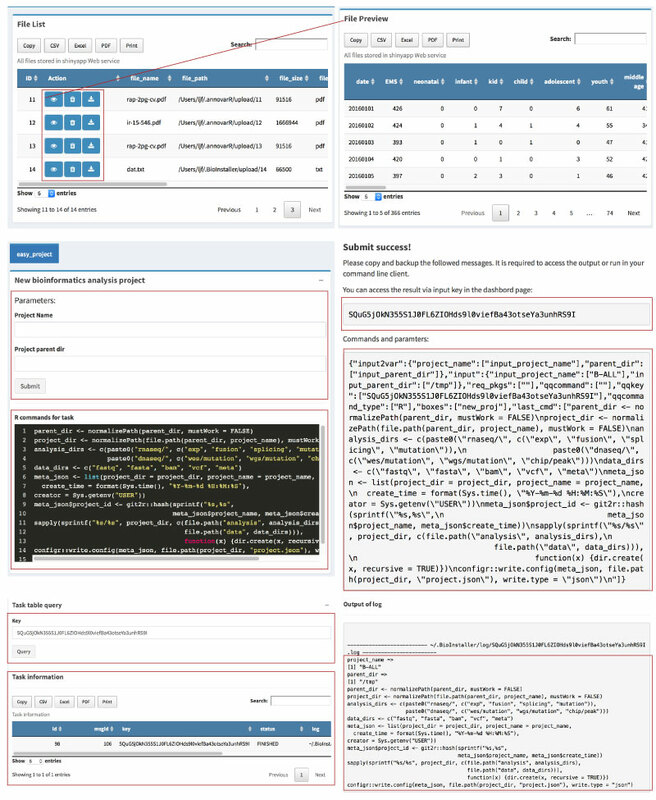 However, due to the lack of high-performance and open-source cloud platforms based on R (e.g., Galaxy for Python users), it is still difficult for R users, especially those without web development skills, to construct interactive and reproducible biological data analysis applications supporting the upload and management of files, long-time computation, task submission, tracking of output files, exception handling, logging, export of plots and tables, and extendible plugin systems. 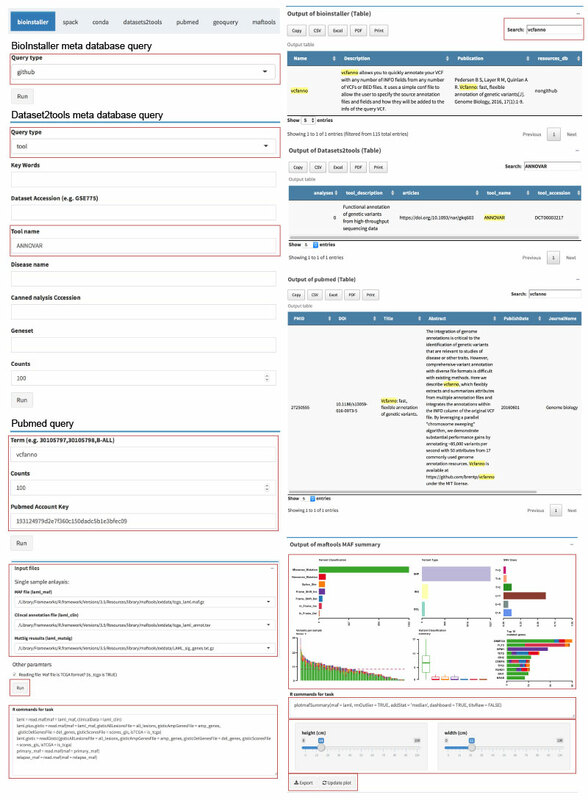 The collection, management, and share of various bioinformatics tools/scripts and databases are also essential for almost all bioinformatics analysis projects. 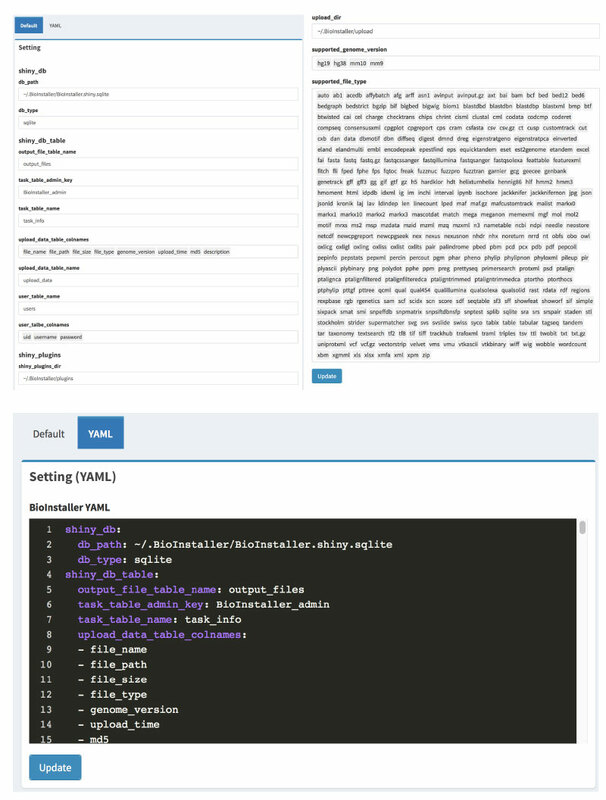 Here, we established a new platform to construct interactive and reproducible biological data analysis applications based on R language. 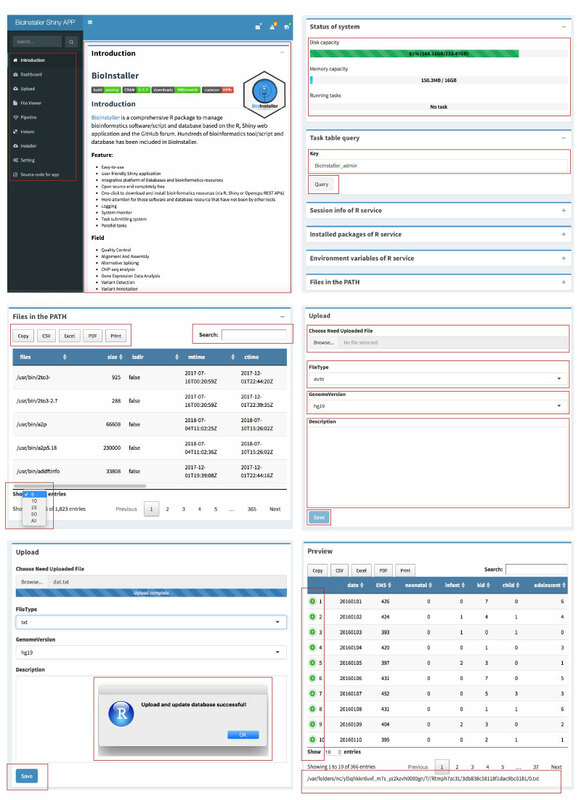 This platform contains diverse user interfaces, including the R functions and R Shiny application, REST APIs, and support for collecting, managing, sharing, and utilizing massive bioinformatics tools/scripts and databases. 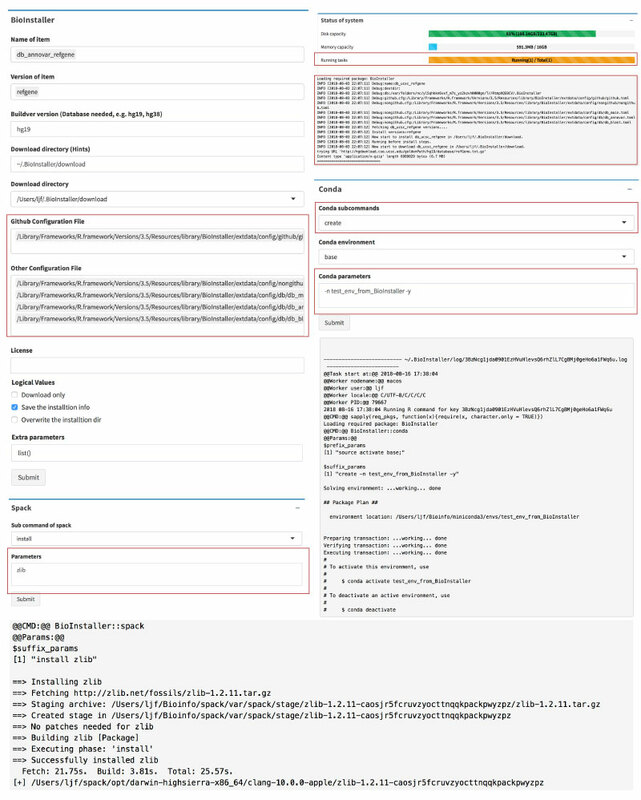 You can use the BioInstaller in Docker since v0.3.0. Shiny application was supported since v0.3.5.